SQL Accounting Software is Malaysia Leading Accounting Software, which include full range of features, such as Invoicing, Inventory Control, SQL GST Module, Manufacturing module & etc. 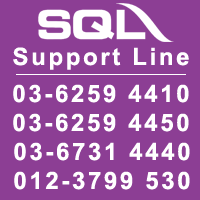 SQL Accounting Software is a very friendly usage & flexible in Malaysia market. Everything in business is going digital because it is fast, accurate, affordable and easy to operate. All you will be required to do is install the software and feed it with the relevant data and allow it to sort everything out within the shortest time. The good thing about the SQL Accounting System Malaysia software is that it can also print the useful information it has generated with its advanced analytic tool. This information will help you make very important decisions to improve your business. You will also have the GST SQL Accounting software in Malaysia giving you a combination of useful business modules which will also boost your business further. The application can also run for 24/7 which and the good news is that it's both efficient and you don’t have to part with your hard earned money paying some employee overtime. The application is also very affordable which makes sure that you get your money’s worth while still saving more in the process. Is The Effective SQL Accounting Software System Safe? There are certain precautions you need to take when using the SQL Accounting software Malaysia app to ensure waterproof safety. Setting authentications before allowing your employees to use the application will go a long way in keeping your data safe. The app also offers the backing up option when you want to switch off your computer. This way, the data that has been entered and analysed by the application will be saved. The application can also run in the background while you and your employees are using the computer for other productive purposes which are amazing for sure. 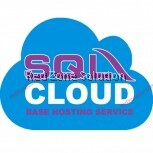 The application also allows a secure access into your SQL account records as it has a simple application COM interface. Data can also be backed up at any time without the need of having to shut down which is fast and very convenient while safeguarding your data. The SQL Account GST software Malaysia application is very affordable as compared to other ordinary accounting software that doesn't even match up to its superb quality. It is also a fact that this system can run in the background while you or your employees are using the computer to carry out other profitable tasks. The SQL Accounting Software System can also run around the clock and do a perfect job without there being the need for overtime payments as it is the case with employees. All the data analysis and presentations are all consistent the PSQL and have no errors. Human is to error and so it might cost you less working with this software because of it won't cost you that much as it would as you try to fix your errors which happen more often than not. In conclusion, I would highly recommend that you get this superb and effective accounting app and save yourself from costly accounting errors. Looking for easy-to-use accounting software? Everything is going digital. You have applications for every task and accounting is no exception. In fact, accounting requires more precision and computers and accounting software have made it possible. 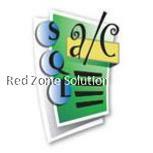 SQL accounting software is the most popular one in the market with a whole range of features to its credit. Whether you are looking for GST module, sql invoicing, manufacturing module or inventory control, SQL accounting software offers them all. Why choose SQL Accounting Software ? It is user-friendly. Anyone can learn to operate within a short time with a bit of training. You can print the generated information obtained through its analytic tool. So presentations are easy. You can run your business efficiently by making use of the business modules in the software. It is affordable yet high on quality. You can carry on with other work on your computer while the software does its job in the background. It can run 24/7, so you can cut down on labor costs while still being able to get the work done. Accurate data analysis, so have no worries about errors. As this is accounting software, you need to set authentications before you let your employees use it. The software provides back-up option if you want to switch off the system. So, the data you entered is safe. 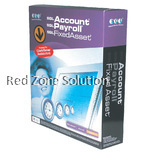 The software provides for a secure access to your account through an application COM interface. You can also backup your data anytime; you need not shut down the system. This quick system enables you to protect your data conveniently. 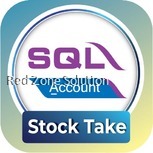 RedZone Solution is a reputed supplier of certified GST SQL account software. The GST certification is appealing for sure! You get full value for your money besides training to use the application. Opt for the unmatched accounting software today! 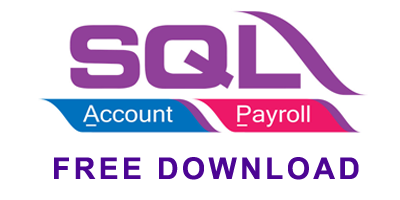 Why Using SQL Accounting Software Malaysia ?